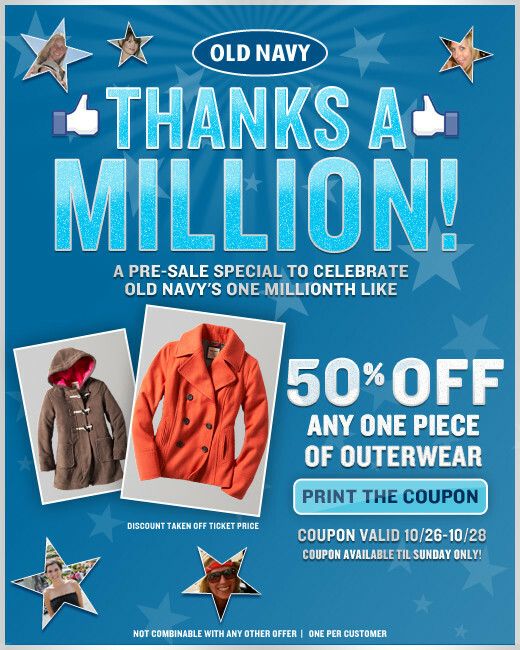 This week, Old Navy reached their goal of one MILLION Facebook fans! Because of that Old Navy is offering it’s Fans a coupon for 50% off any Outerwear item. Coupon Valid October 26-28, 2010.